The Web Development class finally had it coda in the form of my grade. I did well, better than expected, but willing to catch my breath for a little while. I had all this free time, but it came with an unexpected side effect. I didn’t want to look at a computer after getting home from work. I would happily stare at a television screen, but I want to feel a book in my hand. 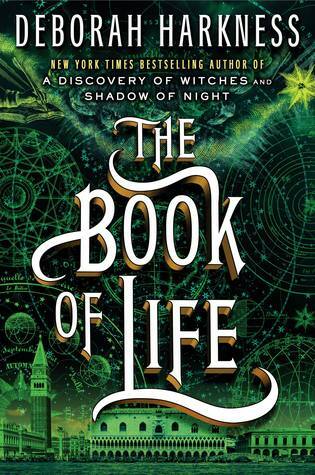 I picked a copy of Book of Life by Deborah Harkness from the library, carrying the hardcover in my knapsack to read over lunch, before bed, and if I get a decent seat on the bus. Sometimes I would balance the book on my lap with all my other stuff as it jerked its way home or work. Bus rides passed faster as I read about Diana Bishop and Matthew Clairmont plus the witches, vampires, and daemons occupying their contemporary world. 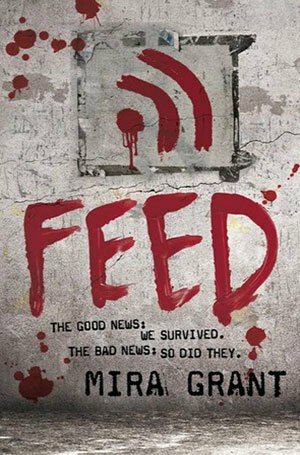 Our story opens where countless stories have ended in the last twenty-six years: with an idiot — in this case, my brother, Shaun — deciding it would be a good idea to go out and poke a zombie with a stick to see what happens. Did I mention it’s a mass-market paperback? I miss the format and didn’t know it as I tucked the novel in my bag, and liked the feel of it in my hands. I looked around at a number of bus passengers with Kobos, Kindles, iPads, and smartphones,while the physical book still makes it presence known. I see mostly trad paperbacks, large enough for a quick scan of the current read. Alright, a quick scan and a little judgement. Saw a lot of Elon Musk on my bus route. Can someone tell me if he can survive a zombie apocalypse? I made a conscious decision to read more fiction after completing Web Development. My brain felt cooked with words about convergence journalism, class divs in coding, and creative non-fiction; Add in also some Gifs and photo-shopped images online for further simmering. I wanted some words, some character, and a setting to carry me away. I wanted all that wrapped in a plot. Reading fiction also served another important function: Writer’s block vaccination. I found myself sitting in front of my computer feeling creatively constipated. Rather than freak out, and beat myself up, I stepped away for a while to read. I noticed reading made blogging a little easier, and it will translate to something I wanted to revise from last year’s NaNoWriMo. So for now I will read, read, and read some more.